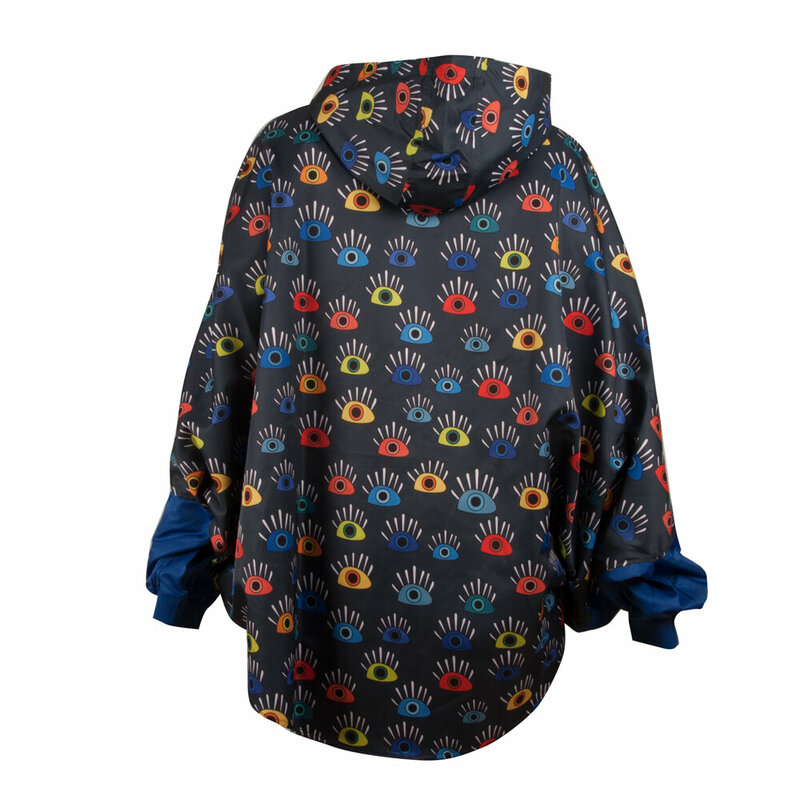 Biggdesign raincoat with “My eyes on you” pattern. What makes things beautiful is the eyes that look at them. We all look at the world with different eyes, and so we shape our world. Good-evil, beautiful-ugly, everything is in our hands. We can make our world beautiful. 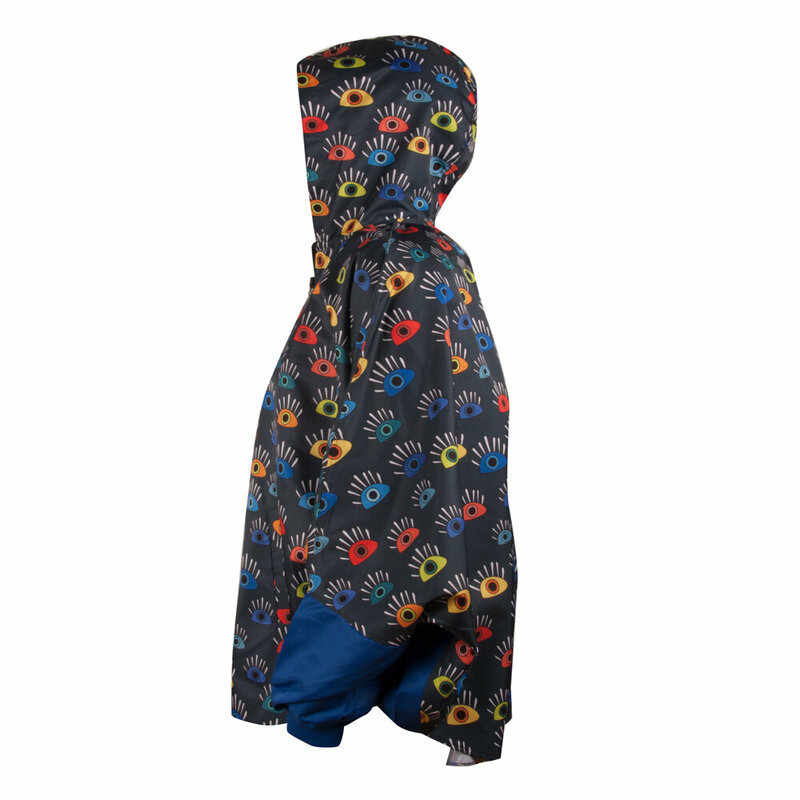 Adopting high quality, environmentally friendly material, non-toxic, no odor, this hooded waterproof raincoat for women protects you from rain and keep you dry. 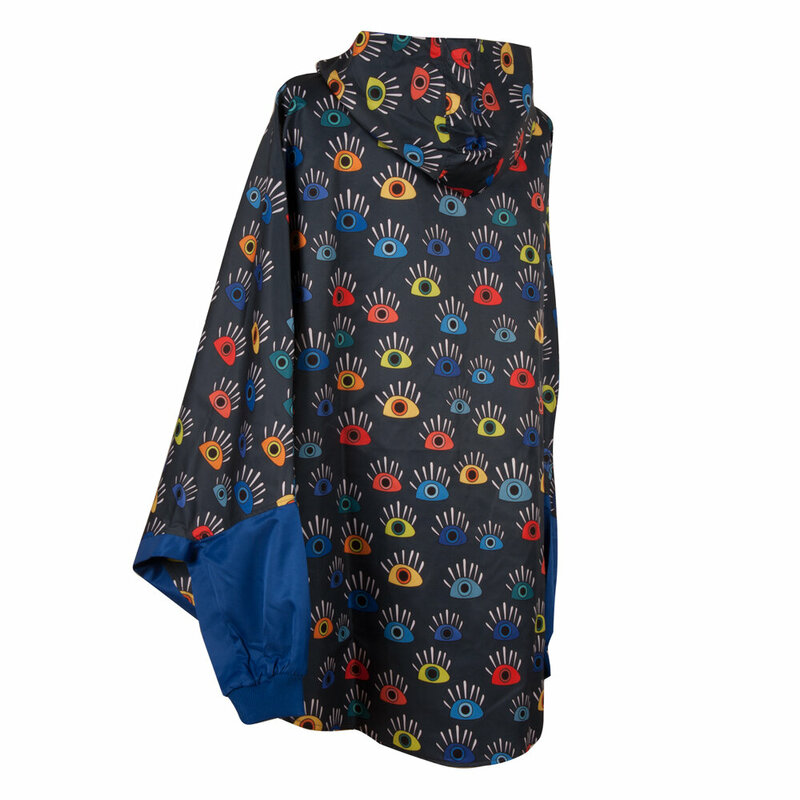 Lightweight and compact this raincoat is soft and breathable, and it doesn't have any weight when you wear it. 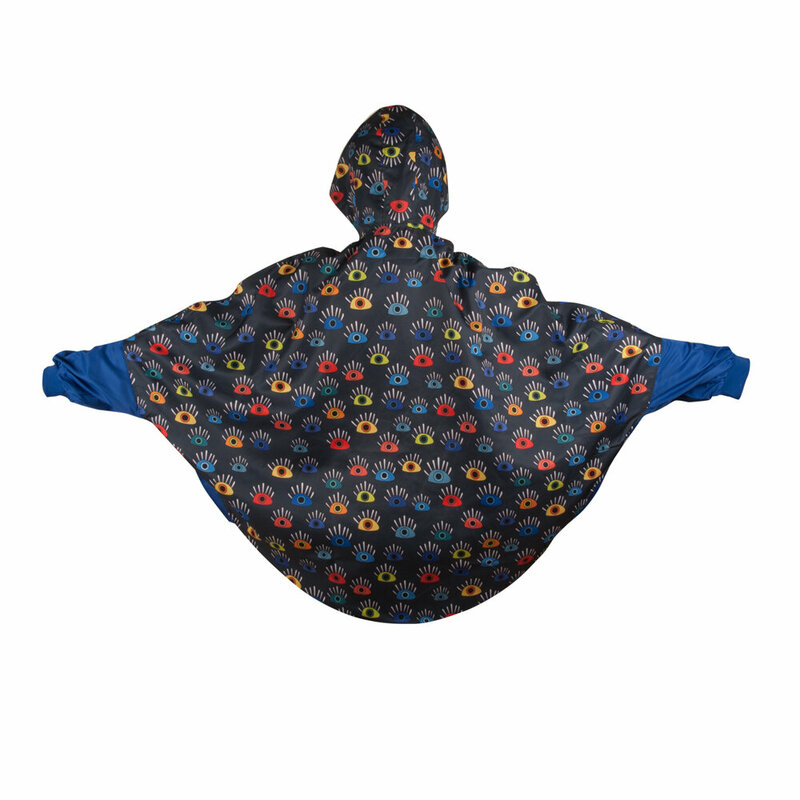 Arm ribanas and hoods are in blue color. 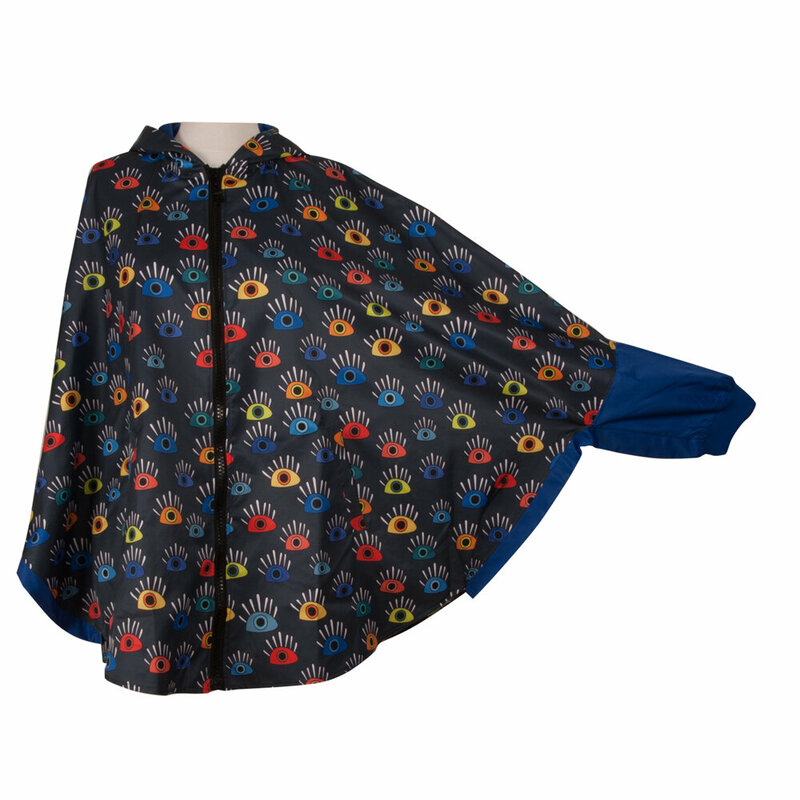 This raincoat with a hood.